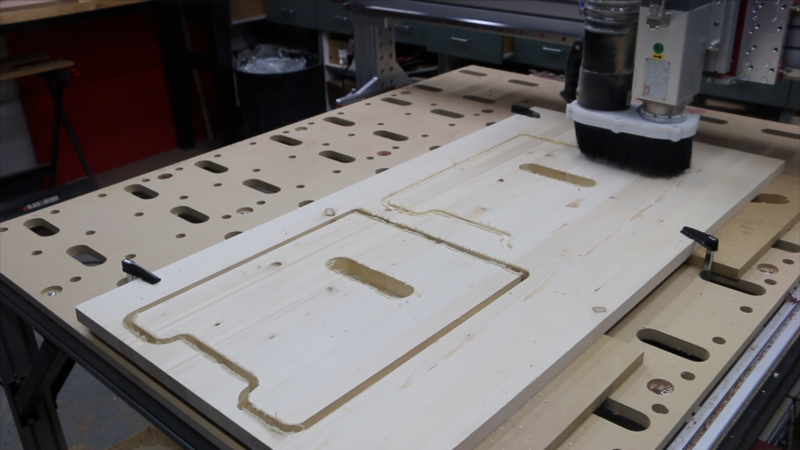 This project will help you make the spoilboard for your Standard, PRO Series, or Benchtop CNC machine from CNC Router Parts! These project files support the following ready-to-assemble machines. 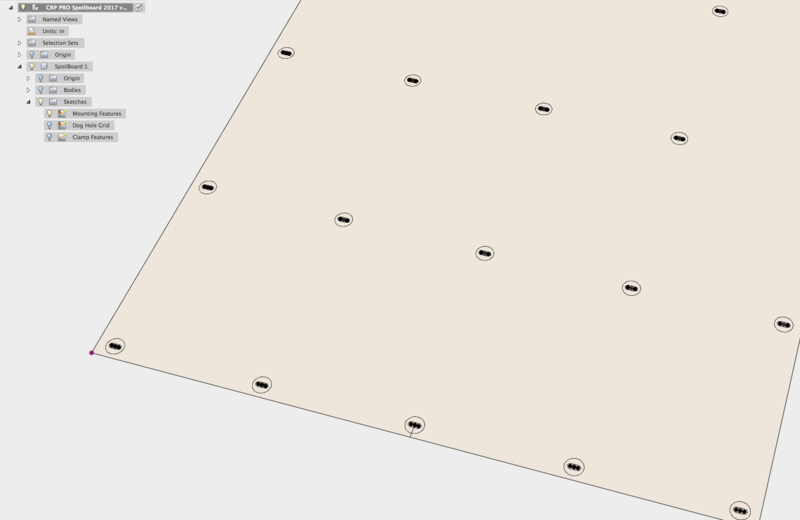 We've pre-configured the Vectric projects to reflect our most common machine sizes, if you don't see your table size listed, pick the project file closest (preferably larger) and adjust as needed based on how many table cross-members that are within the machining area of the router. There are two Fusion 360 project files, one for Benchtop machines, and the other for PRO Series large format machines. 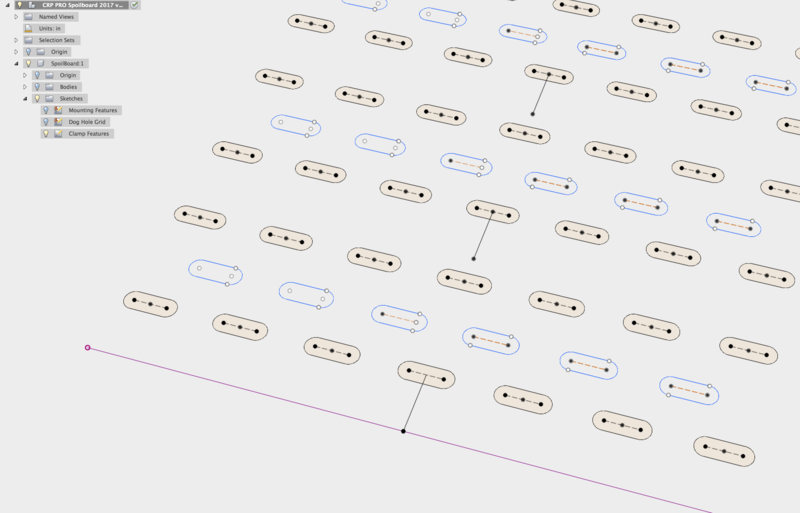 Both are parameter-driven (parametric), meaning that by going to Fusion 360 > Modeling Workspace > Modify > Change Parameters you can update the size of the board to whatever size machine you have. The board consists of three feature layers. You can choose to implement all three, one, two, or mix in with your own custom feature designs. 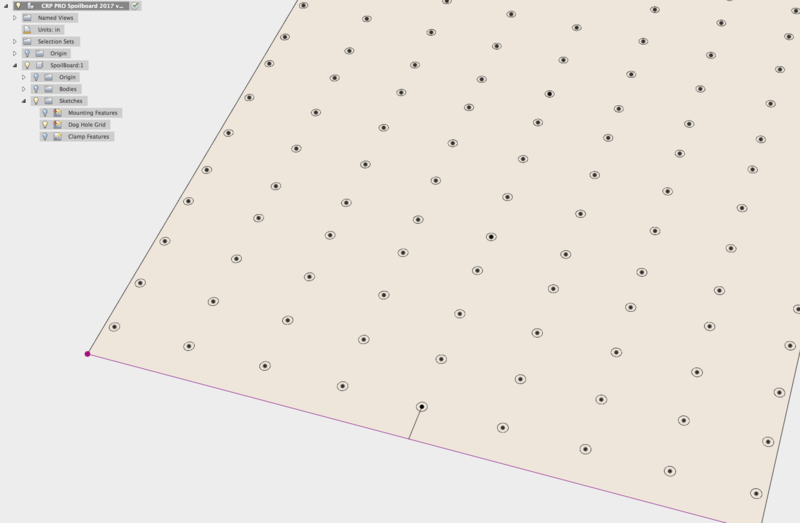 Dog Hole Features - This layer/sketch contains the geometry a grid of holes that are 3/4" diameter by default but can be adjusted to be used with MDF inserts allowing use of bolted connections. Otherwise can be used with most 3/4" size bench dog accessories and clamping systems. Clamping Clearance Features - This layer/sketch contains the geometry for large slots that will allow the use of F-clamps. 3/4" thick MDF or similar material that covers the desired work area (usually matching the dimensions of the machine table). To create your own board, download either the DXF file or the Fusion 360 Project (free for non-commercial use). The DXF file can be used with any popular CAM offerings, including Vectric's popular VCarve PRO (demonstrated in the attached video)! (Note: If you are using Fusion 360, you can watch that video and the Part II CNC video and don't need to watch the Vectric project walkthroughs and vice-versa).